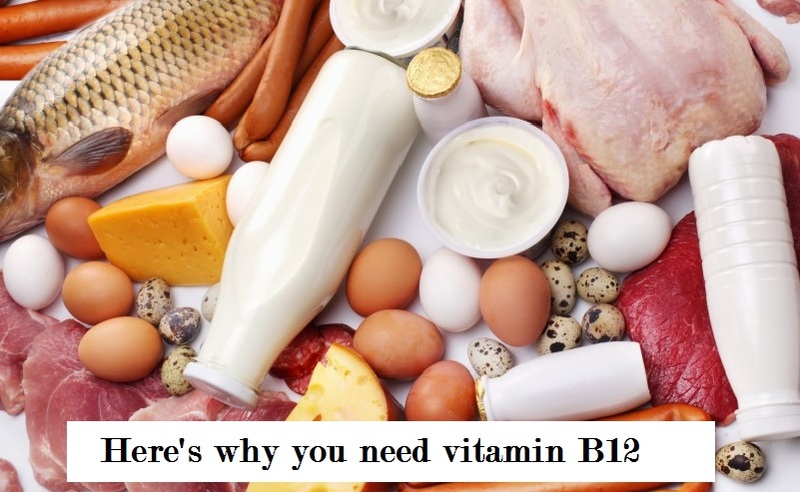 Vitamin B12 is a nutrient that helps keep the body's nerves and blood cells healthy and helps make DNA, the genetic material of all cells which is vital for life. Vitamin B12 also helps prevent a type of anemia called megaloblastic anemia that makes people tired and weak. An abundance of research suggests a relationship between low B12 levels and blood homocysteine levels and heart disease risk.Homocysteine is produced in the body, which generates methyl groups for the synthesis of innumerable compounds essential for life and health, including DNA itself. High homocysteine concentrations are mainly due to insufficient B12 vitamin concentrations. People with lower homocysteine levels have a lower risk of cardiovascular disease. High levels of B12 vitamins lower homocysteine levels, and lowering these levels would also lower heart disease risk. Signs of vitamin B12 deficiency include fatigue, digestion problems, depression, memory impairment, and pernicious anemia. Vitamin B12 is found only in animal foods such as meat, eggs, and dairy. People who do not eat any of these foods can end with vitamin B12 deficiency. ALso, poor absorption of nutrients in the gut can also result in deficiency. For overcoming nutritional deficiencies, experts recommend taking a B12 multivitamin and eating breakfast cereal fortified with vitamin B12.